The smooth elegant lines of the cream ceramic jug have been designed and handcrafted in Cape Town South Africa by local ceramic artist Catherine Landman. This designer cream ceramic jug comes in two sizes, and is like a piece of ceramic art. The jug will make an elegant addition when serving coffee or tea at the end of your dinner party or coffee morning. 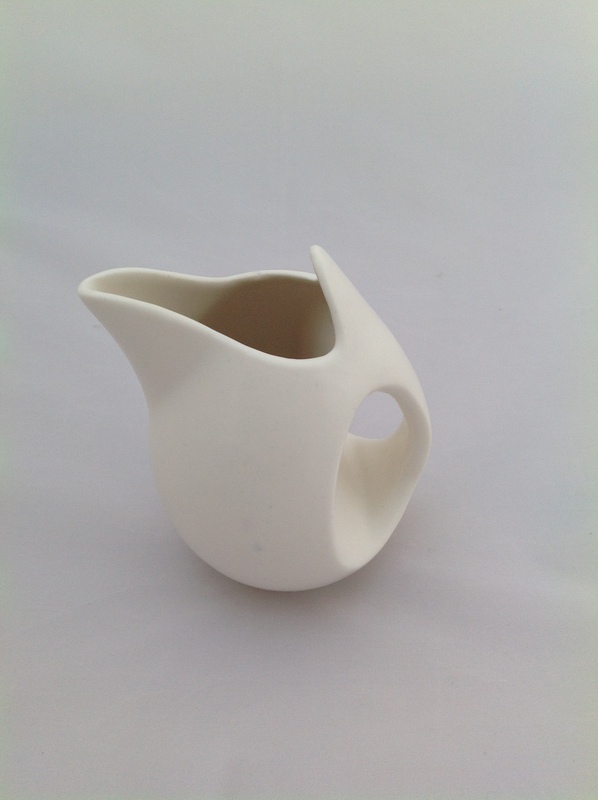 Both the handle of the ceramic jug and the spout are beautifully crafted making it easy to hold and to direct the milk or cream straight into the cup. No spills to clean up! Handmade of stoneware the large jug holds 450ml of liquid. A co-ordinating cream sugar pot is also available. Both sizes of jug are also available in a grey colourway. 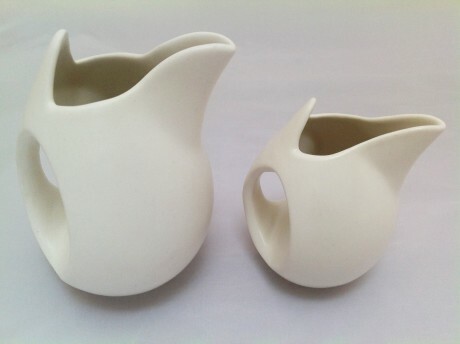 What is the cream ceramic jug made of ? Stoneware is a vitreous or semi-vitreous ceramic made primarily from stoneware clay. It is fired at high temperatures.